Do you remember that scene in Annie where Daddy Warbucks heads off to a radio station to put a call out for Annie's real parents to get in touch and he reads everything on the script literally, including all the studio and speech direction? I love that scene. There's something about the medium of radio that fascinates me. Probably because it fits in well with my love of writing. Anything without a visual prompt means that you have to provide extra description or put more emphasis on words to ensure that the meaning in interpreted as intended. It's like when reading to children and you inject feeling into the story and use different voices for each character; you are moulding the use of their imagination. From time to time I have a huge yearning for my theatre days even though I wasn't very old when performing. The call of the stage is strong but AmDram isn't really for me as I can't sing very well. Plus, if I added another activity onto my list of "Things I Do In My Spare Time" I think my family might send out a missing persons report. However... and this is The Big Thing... my recent radio training (at Preston FM) has provided me with a platform to try out old familiars with a modern spin. During discussions with fellow community radio DJ, Will, I found that we have similar ideas. Of course I'd love to have a music based show - that goes without saying - but how do you create a show that is 'different' to everything that's already been done so that people tune in? Last month my recording slot was cancelled at short notice and then studio time became available at even shorter notice. So what can you do that requires a minimum amount of planning? First you panic. Then you calm down and see if anyone Will is available to assist you in an hour of madness (I almost called this post "Last Night A DJ Saved My Life" but thought it was a bit OTT) and you exhale again when he says that he is. Then you panic again and start looking for material that can be used for community radio. And slowly, but surely, an hour of content falls into place. Listening back, there are definite areas for improvement but I had SO MUCH FUN recording it. At one point we looked around the studio and noticed that we'd both been doing the same *drop page* action when we'd finished reading part of the script; the floor was covered in A4 sheets of paper with scribblings and notes. At that moment, I knew that, with some work, this notion could be taken so much further. Have a listen and let me know what you think. I have ideas for spoken word radio running around my head now. An hour is a huge amount of time to fill when you consider that most Radio 4 comedy and drama shows are only 30 minutes in length and they have a full production team and script writers in place. 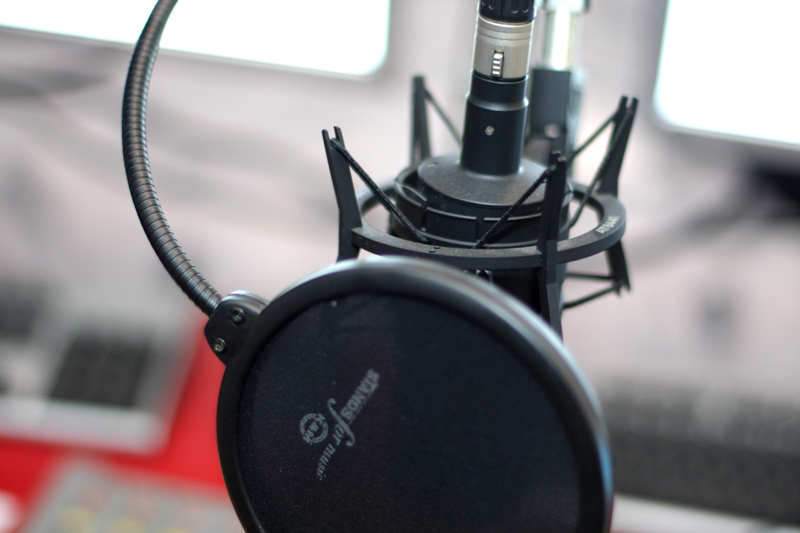 Community radio puts you at the heart of your show but you're also in charge of production, content creation, ensuring that your show fits the allotted time and so much more. But that's all part of the fun! What sort of radio show do you enjoy listening to? Music? Talk? Comedy? A mixture of everything? (or access online at a more convenient time)?